For Keegan and me, February is a fun time of the year. This is due, in large part, to the fact that our birthdays are just a few days apart and we use them as an excuse to drink as much as we can of the best wines we can find. 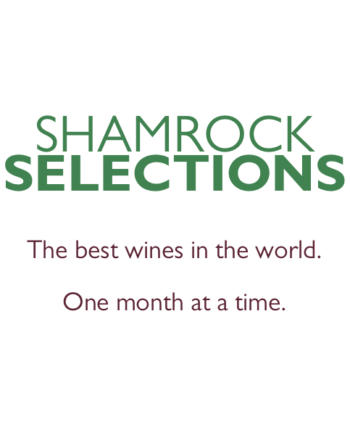 It’s in that spirit that we settled on this month’s wines. As much time as we spend thinking about what you might like, this month we just asked ourselves what we’d like to drink. I hope you’ll forgive our selfishness, but I think you’ll be happy with the results. I have to admit that South America is something of a black hole for me in terms of wine. Sure, I know the basics, but out of all of the wine-growing regions of the world, I seem to drink from South America the least. Back in January, I told myself that 2018 was going to be my year of drinking Italian, but I think I’m also going to make it my year of drinking South American. When most people think of South America, they think of malbec, a grape that earned a reputation as the wine you pick up when you want something good but don’t want to spend a bunch of money. And, to be honest, that’s a pretty fair assessment of a lot of the malbec we carry. But what do you get when you reach beyond that? That’s what we wanted to know. Malbec originated in southwestern France, where it often went by the name of côt. It never quite caught on with winemakers there, but in the 1860’s, the mayor of Mendoza, Argentina ordered a botanist to plant a few vines in the city park. Today, Argentina now produces over 75% of the world’s output of malbec. Malbec is known for its color, and this wine is no different. It’s dark, inky purple in the glass with a hint of the magenta rim that young malbec is known for. When you see malbec blended into a wine it’s most often to add a bit of color. You’ll notice that as you swirl, it might briefly stain the bowl of your glass. Hailing from the Lujan de Cuyo region, slightly south of Mendoza proper, the Bramare is something of a tempest trapped in a bottle. Malbec is rich and full of flavor. When I tasted this, I got caught up notes of cocoa powder, molasses, black pepper, and tobacco. These were all lofted by the strong presence of fruit on the palate: black cherry, plum, blackberry, and a tell-tale sign of malbec for me, blueberry. For those nights when February bites back and the temperature doesn’t get above 40º, I’d pair this with any hearty meal. I’m a big fan of soups and stews in the winter and this is a perfect match. It would easily go well with steak or lamb, or strong cheeses such as blue cheese or provolone. As much as I love February (I’m always up for a party, especially one that celebrates me), doesn’t it feel like the entire month is spent waiting for March to get here? I feel like I’ve spent most of the month looking out the window waiting for the clouds to part and the sun to shine. Eventually, it must, and when it does, this is the wine I’ll be opening. From France to California and everywhere in-between, I’m not sure there’s a better gape for making rosé than Grenache. Supple and bright with striking acidity, it seems to always produce a wine that walks the fine line of being both easily quaffable and complex enough to hold my attention. This, of course, is no exception. 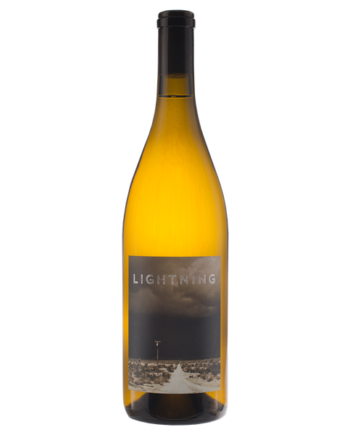 We’ve been big fans of Lightning since they were first brought into the state early last year, and we shared their CdP blanc with you as a part of your May 2017 selections. 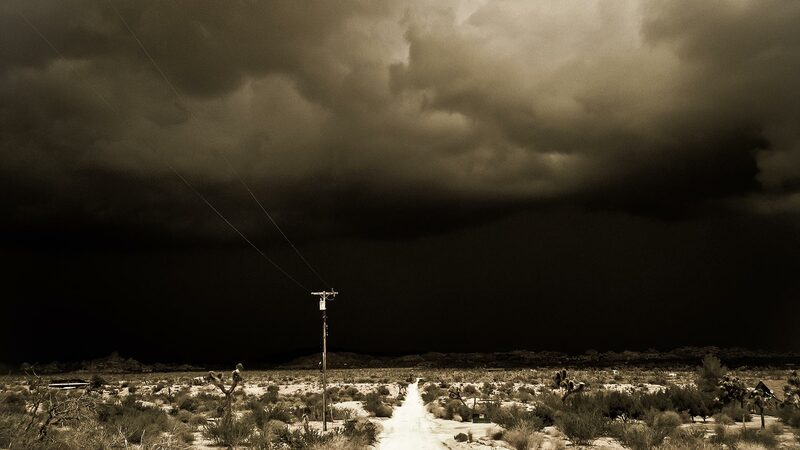 Lightning was founded by husband and wife team Randy and Brooke Hester. Randy was formerly the winemaker for Cakebread Cellars among several other notable Napa properties, but he founded Lightning with the intention of making wines in the style of France’s southern Rhône valley. While Randy’s goal was to mimic the wines of the Rhône, this is a far cry from the light, salmon pink wines of southern France. This is a top-down-on-the-car kind of rosé, the kind of wine that requires letting your hair down and turning the volume up. It may be February outside, but you’ll at least have Malibu in June in your glass. There’s an aroma of strawberry and raspberry candy on the nose, just enough to trick you into thinking the wine isn’t as bone dry as it is. On the palate, there’s an immediate splash of fruit: strawberry, peach, kiwi, blood orange, and rhubarb. It’s all as if you were walking through an orchard just as the fruit was starting to ripen. There’s a lot going on with this wine which is what makes it perfect for something a little more substantial, pairing-wise. Try it with BLT sandwich – there’s a savory minerality to the finish that will be perfect when put against the bacon fat. You could also try it with something a little spicy like a curry or pad thai. When I dream at night, I dream of Alsace: snowy peaks, verdant fields, incredible white wines, and all the asparagus I could ever want. 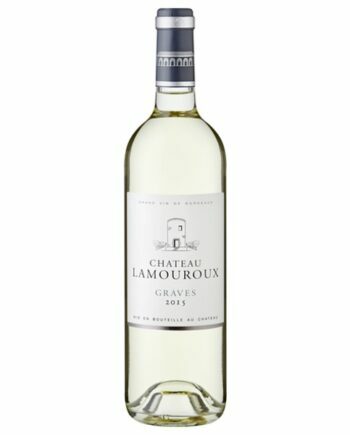 This wine is a blend of three white grapes: sylvaner, auxerrois, and muscat. It’s as light and crisp as the cool mountain air, and it’s the kind of wine that makes me long to throw on a toboggan and race down the slopes! Rich and velvety, this is everyone you could want from an aged port wine. In the glass, it’s brick orange color gives way to aromas of dried plums, oranges, and warm spices. On the palate, the wine is concentrated with a long and velvety finish. If you’ve never had a dessert wine before, it’s hard to go wrong with this one. A blend of cinsault, syrah, and grenache, this is what you’d expect from an incredible rosé! Light and crisp, with a delicate strawberry aroma, this is the kind of rosé that I absolutely love. Lots of acidity makes this the perfect pairing with salads, fruit, appetizers, or even an afternoon on the couch watching Netflix. If you think rosé is just a wine for summer, prepare to change your mind! Aromas of raspberry, blackberry, and cedar jump out of the glass when you first pour this Central Coast cabernet. The finish of this wine is long with notes of plums and other dark fruits. Strong tannins make this a great match for lamb, pork, or steak. An 85/15 split of sauvignon blanc and semillon, this is the kind of white Bordeaux wine that I love: rich and juicy with a steady air of citrus and minerality. Orange blossoms and citrus zest on the nose give way to peach and apricot flavors on the palate. Excellent on its own, I love pairing it with seafood or a light pasta. It may still be winter outside, but it tastes like spring in my glass! This lovely gamay comes from the southern end of the Beaujolais region, right by the foot of Mont Brouilly. It’s bursting with dark fruit flavors like cassis and plum, accented by subtle spice notes from 10 months of oak. Full bodied and supported by good acid, this wine has no trouble standing up to stews and pot roasts, but is light enough to compliment chicken as well. This versatility has made it one of my favorite winter wines of the year! Merlot, merlot, merlot…if only everyone loved this grape as much as they should. I don’t think there’s a grape that’s gone through more ups and downs that merlot in recent years. 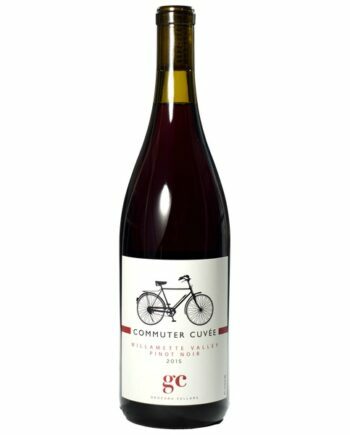 Ever since it was mocked in Alexander Payne’s 2004 film Sideways, people have shunned it in favor or red blends or pinot noir. I’ve had winery representatives tell me they often market their merlot as a “red blend,” a term that, for whatever reason, people are more comfortable with when they see it on a label. Pouring wine for guests, I often find that people will say they even prefer a merlot-based wine, so long, of course, as they don’t know it’s merlot. It’s a disappointing trend, as merlot, in the hands of a capable winemaker, can produce incredible wines that run the gamut from delicate and feminine to dark and brooding. I like to think of merlot as something of a chameleon, able to change its profile dramatically based both on where it’s grown and what other grapes it’s blended with. In its native France, the wine is often soft and delicate, with notes of violets, tobacco leaves and leather, while sun-drenched California produces wines that are rich and fruity, bursting with plum, raspberry and spice. I should say, however, that there might be nowhere else in the world that is currently producing merlots as exciting to me as those from western Washington state. Keegan and I were at a wine conference in Texas when we first tasted this wine and I’m sure those around us could see the light bulbs going off above our heads as we each instantly knew that this was a wine he had to get into your hands. A blend of 93% merlot, 4% cabernet sauvignon, 3% cabernet franc, it spent 20 months aging in French oak. It’s like drinking the Batmobile: intense and powerful and full of energy that exists right beneath the surface. A chorus of spices on the finish—bay leaf, clove, cinnamon, and sage—buoys an overriding note of stewed black cherry. Think you don’t like merlot? Have a glass of this. I dare you. To say that I love Vouvray, the delicious chenin blanc that is made in this sleepy little town in France’s Loire Valley, would be an understatement. The wines of the Loire were among the first to capture my imagination when I first began studying wine, and it’s my love of them that led me to travel there in the fall of 2016. You’ve most recently had a chenin blanc in this program over the summer – the Chappellet chenin from Napa Valley. Vouvray is the historic home of the grape and the place from which it still shows best. After harvest, the wine was fermented in both stainless steel tanks and large wooden casks to give it a surprising depth and complexity. Maybe I’m alone in this, but there’s something about the cold winter months that leave me wanting for a complex yet light-bodied white wine, and this Vouvray absolutely fits the bill. Slightly off-dry with notes of honeyed apple, peach, and overripe pear, this is a bottle that I’ve found myself reaching for over and over again this winter to pair with warm pho and ramen. I suggest serving it well chilled. I think it’s fitting that we booked 2017 with pinot noir. While last January saw us drinking the Domaine Serene Evenstad Reserve from Oregon’s Willamette Valley, we close the year with a wine from one of my favorite regions in Burgundy. The Côte de Nuits is the northernmost region of Burgundy proper, just south of the city of Dijon, and home to 24 Grand Cru vineyards. These are some of the most expensive vineyards in the world and were recently designated as World Heritage Sites by UNESCO (the United Nations Educational, Scientific and Cultural Organization). 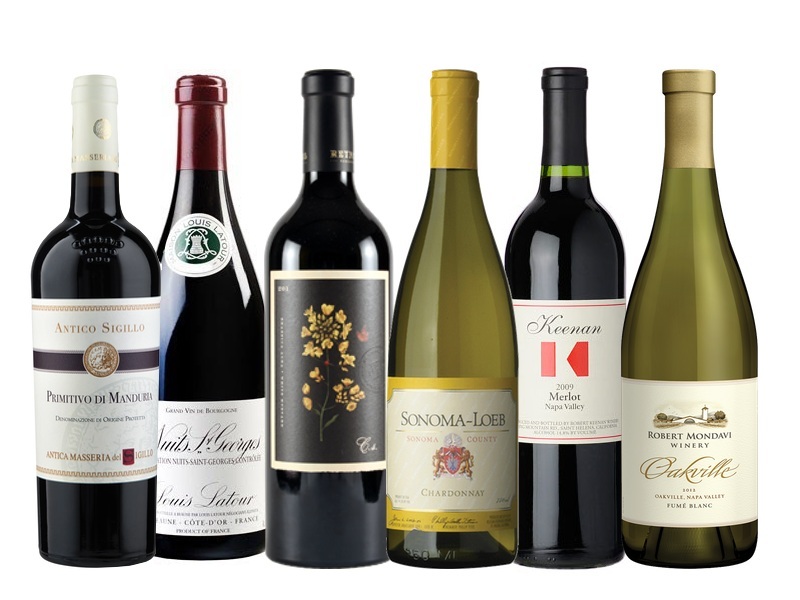 The best of these bottles can easily run into the thousands of dollars, but this offering from Gachot-Monot at the Villages level gives a glimpse of what these world-famous wines have to offer. This wine shows the perfect balance that great Burgundy can achieve. It’s wonderfully aromatic with notes of blackcurrant, cherry, cooked mushroom, and spices. I’ve had it now several times, with duck, chicken, and an array of cheeses, and each time I discover more nuance and sophistication. When I had my first sip, I thought it might be too light (I say this as an admitted lover of heavy California pinots), but with time, I began to see its delicacy as a diminutive vulnerability. Not so much a mighty stag but a spotted fawn taking its first steps – an experience to cherish and savor. I should also mention that this is one of those bottles that, while incredible now, will develop even more in the future. 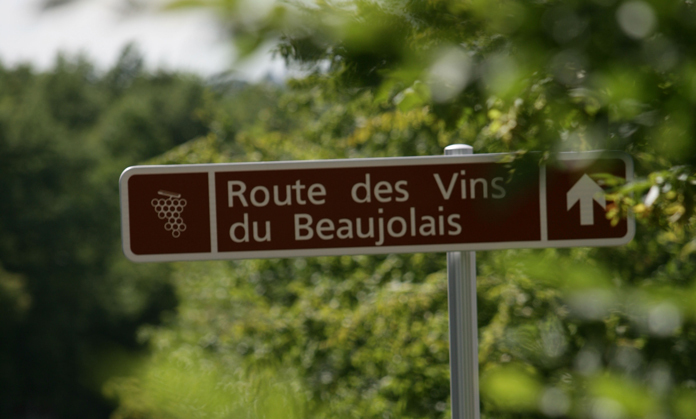 The 2015 vintage in Burgundy is being heralded as one of exceedingly rare quality. I know I’ve put back a few bottles for the future and I recommend you do the same. Well, it wouldn’t be the holidays without bubbles, would it? Scharffenburger has been making sparkling wine in Anderson Valley since 1981. A several hours drive north of Napa and Sonoma, the Anderson Valley is located in Mendocino County just a few miles from the Pacific Ocean which provides cooler temperatures that are ideal for growing grapes for sparkling wine. Made from 60% chardonnay and 40% pinot noir, the Brut Excellence is made in the méthode traditionelle, the same production method of in-bottle fermentation that is used in Champagne. The thing that I love most about this wine is that, while many other sparklers from California insist on being light and ethereal, this once embraces its own roundness. A process known as malolactic fermentation gives the wine a fullness that I absolutely love in sparkling wine. It allows for an overwhelming note of vanilla creme which runs throughout, with heady notes of brioche and yellow apple as well. For me, this is the perfect aperitif wine, a little something fun before getting down to business with dinner. I’d pair it with something light – maybe a fruit or cheese-based appetizer, or as I’m doing at my own Christmas party this weekend, with a couple different flavors of potato chip. If you’re a fan of drinking sparkling wines with dinner (and you should be), I think this would go well with roast chicken or even a pasta in white sauce. Sparkling wines work extremely well with food, so I encourage you to be inventive! 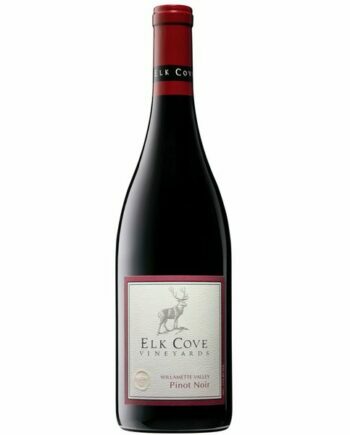 Robust and elegant, this pinot noir is robust and elegant, and after several years of aging has developed nuance and velvety tannins. 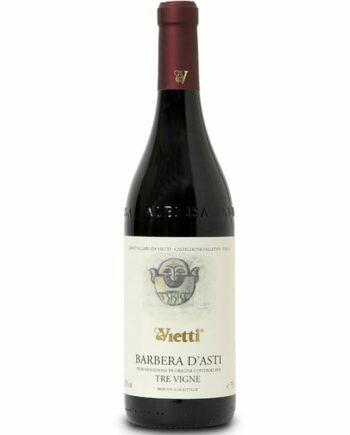 Aromas of red fruit and walnuts are evident, followed by the distinct scent of baked cherries. At 9 years old, it’s ready to drink and will pair beautifully with pork or duck. Though most people think of it as a California native, zinfandel actually hales from southern Italy (and likely Greece before that) where it’s known by the name “pimitivo.” This wine is rich and spciy with notes of blueberry, plum, and cinnamon. I’d pair it with BBQ or any other smoked or a great Italian pizza. I’ve recently gotten into California chardonnay, and this one from the Sonoma Coast appellation is one of my new favorites. Notes of lemon peel, toast, and creme brulé make this a great pairing for everything from chicken or salmon to buttered popcorn on movie nights. This Napa Cabernet is big and rich with notes of cassis, blackberry, and smoke. I love this on cold winter nights when paired with steak. Heavy tannins are highlighted by the strong oak influences in the wine. The Robert Keenan Winery sits in the mountains above Napa Valley, so high, in fact, that the vineyards escape the valley’s notorious fog. This allows the grapes to get even more exposure to the sun and to produce complex and fascinating wines. There are lots of fruit notes here, but it’s the wines savory notes of mint, eucalyptus, and smoke that make this a winner. The blend of sauvignon blanc and semillon comes from some of the finest vineyards in Napa Valley. Rich with notes of cantaloupe, guava, lemon, and sage. On the palate, a hint of a grapefruit is followed by an undertone of toast and white flowers. The 2012 vintage was one of the best for Napa Valley and after several years in the bottle, this wine is primed for drinking. You don’t have to break the bank just to have a great bottle of wine. The key to finding great value is all about knowing where to look. Well, that’s where we come it! We curated a few of our favorites. 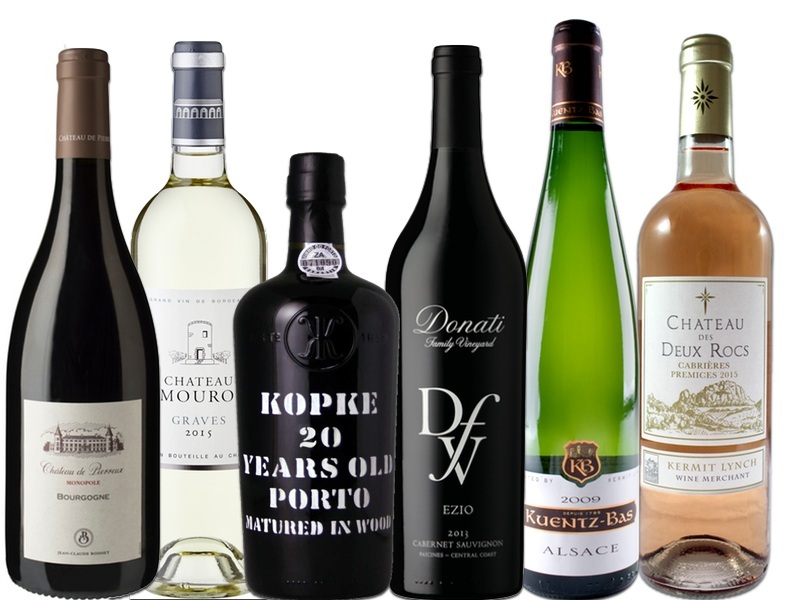 Most of these are wines that we’ve been enjoying for years, and we think it’s about time you enjoyed them too. 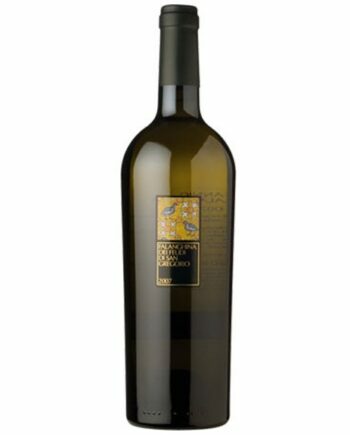 A great value, this light wine is bursting with citrus flavors and high acidity. 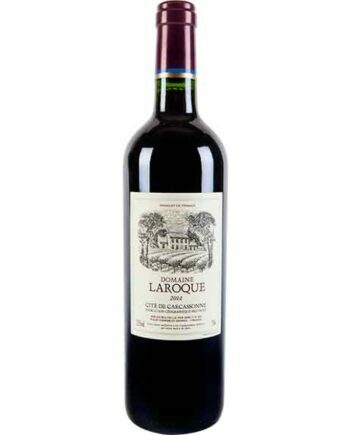 Grown in southern France’s Languedoc region, Domaine Laroque’s Cabernet Franc is full of ripe fruit notes. 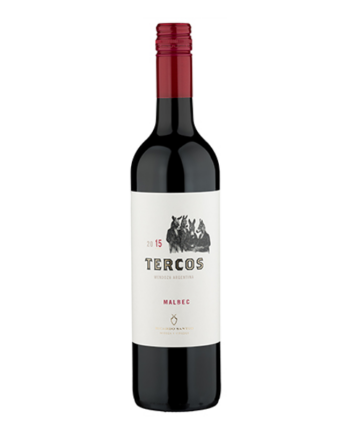 This big and powerful wine was grown in the foothills of the Andes Mountains and has firm tannins and long-lasting finish. 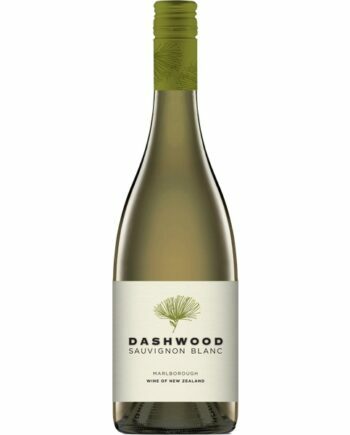 One of our favorite New Zealand Sauvignon Blancs, notes of ripe orange and grapefruit make it a winner. 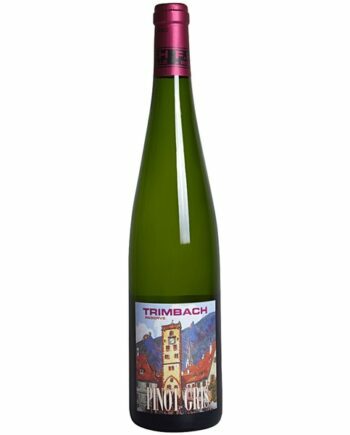 This single vineyard Riesling is demanding everyone’s attention with notes of lime zest, white peach, and wet stone. This bright and crisp wine is perfect for those pinot grigio lovers who are looking to branch out and try something new! 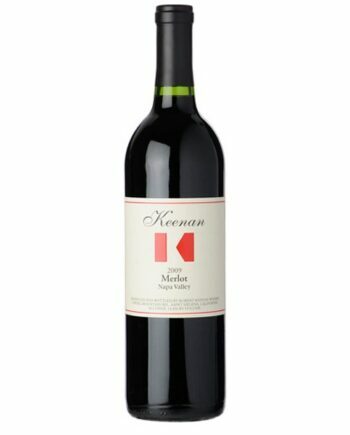 A stellar cabernet from California’s Central Coast, this wine is full of ripe plum and raspberry aromas. Celebrating their 50th anniversary, Calera has long been one of the top producers in California’s Central Coast. Made from the rarely seen Spanish grape Concejon, Pi takes its name from the 3.14 hectares the estate owns and farms organically. Notes of cherry and spice combine for an excellent wine from Oregon’s Willamette Valley. What did you do for Thanksgiving last year? And what about the year before that? What about Thanksgiving ten years ago? A lot can happen in a year’s time, but ten years? That’s enough time for almost everything to change. When you drink this month’s wine, I want you to think about time. You don’t have to ponder the mysteries of the universe, but I would like you to think about where you’ve been and how you’ve changed over the lives of these wines. Sometimes, especially as someone who works with wine on a daily basis, it can be so easy to forget that these bottles are time capsules that show us not only how the land or the grape can change, but also when we drink how we’ve changed. That’s become one of my favorite things about old wine, not so much the wine itself but my relationship to it. What was I doing when it was made? How much has the world outside the bottle changed since the cork was closed? Asking these questions doesn’t tell us anything new about the wine, per se, but I think it can reveal a lot about the person drinking it. It’s my hope that you’ll share these wines with your loved ones this holiday season, and that they’ll at least spark a conversation, and just maybe a little bit more. A lot can happen in ten years. Certainly, I’ve changed a lot from the 19-year-old college sophomore I was in 2007, and so has the wine. Made in 2007, this Beaujolais has been resting in its bottle, just waiting for you to pull the cork. It was made by Nicole Chanrion who began making wine in 1970, a time when a female winemaker was all but unheard of in France. She took over her family’s estate in 1988 and works the 16-acre property by herself each year. Nichole has garnered the nickname “La Patronne de la Côte,” or the “Boss of the Cote,” referring to the appellation in which she plays so prominent a role. The Côte-de-Brouilly appellation sits on the hillsides of Mont Brouilly, a prehistoric volcano that left blue schist stones and volcanic rock along its slopes. 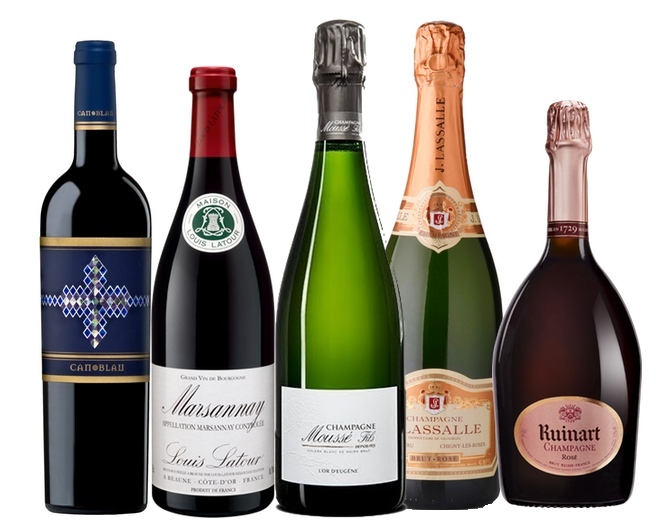 These stones yield structured wines with pronounced minerality and great aging potential. After her formal training at the viticultural school in Beaune, Nicole had a brief internship in the Napa Valley which allowed her to gain a deeper appreciation of the traditional winemaking techniques of Beaujolais: hand harvesting, whole cluster fermentation, aging the wines in large oak foudres for at least nine months and bottling unfiltered. The resulting wines are powerful, with loads of pure fruit character and floral aromas. I can only imagine what this wine would have tasted like in its youth*: a supple tannin, coarse acidity, ripe flavors of raspberry and plum. In its present state, the first thing you’ll notice is its rich, garnet color and surprising clarity. In the sun, it looks like a liquid gemstone. A majority of the overt fruitiness has been worn away by time, but what is left – an air of dried strawberry, raspberry, and even cranberry – is balanced by a surprising note of black pepper on the finish. The acidity is still lively, a key to what’s allowed this wine to age so well. I’ll admit that this was my first time trying aged Beaujolais and I was surprised and very happy with the result. It’s our hope that you’ll open this with your loved one this holiday season, either as part of a meal or even on its own. While the wine pairings here are endless, the only one that matters is that you drink it with someone you care about. It’s no secret that Thanksgiving is one of the busiest times of the year for grocery stores and the same is true for wine shops as well. 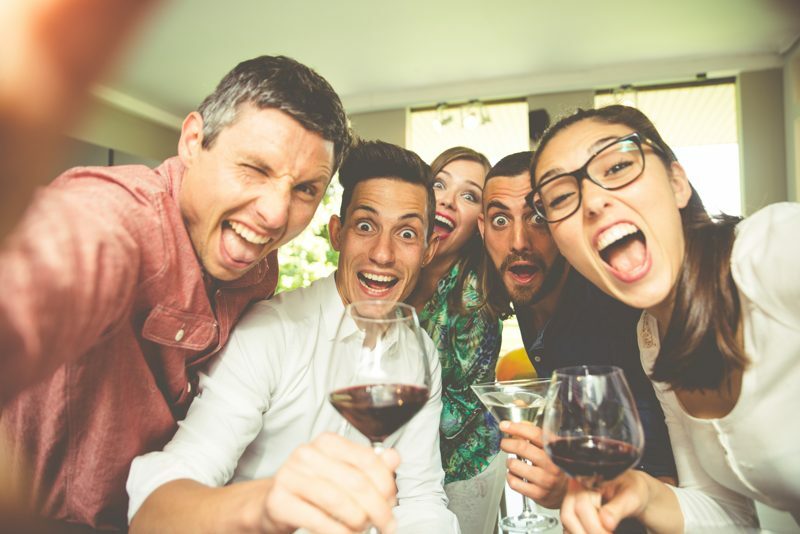 As it turns out, people drink a lot over the holiday and everyone wants to know what will pair best with the turkey and dressing (or stuffing if you’re into that). And while we all have our own takes on what pairs best, the thing they all have in common is a strong backbone of acidity that can cut through the heavy, high-fat foods that we all love so much. It’s that naturally high acidity that makes pinot gris a workhorse wine during the holidays, and this one from Oregon is no different. The Eyrie Vineyards began on a rented plot of land on the outskirts of Corvallis in February of 1965. 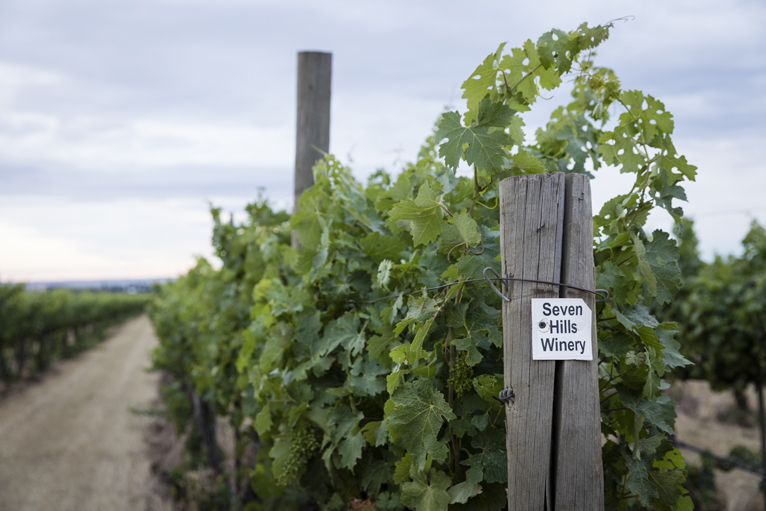 Founder Davis Lett planted three grape varietals: Pinot noir, chardonnay, and pinot gris. These were the first ever chardonnay and pinot noir vines ever planted in Oregon and the first ever pinot gris plantings in North America. Eventually, David would relocate his winery further north in the heart of the Dundee Hills just south of Portland where his reputation as an Oregon wine pioneer continued to grow. He took the name of his winery, “The Eyrie,” from a pair of hawks that began to nest on the edge of his first vineyard. 2015 was the warmest vintage in Oregon since record-keeping began. This lead to a very early bloom and higher than average grape yields. This picture perfect vintage resulted in a wine that is full of sparkly acidity and a full and fruity palate. There’s a wealth of green and yellow fruit notes here: Granny Smith and Golden Delicious apples, bruised pears, and persimmon. There’s also a healthy dose of minerality and an almost fennel-like herbal note that I love. Made from grapes grown in a certified organic vineyard, the wine was aged on its lees for an astonishing eleven months, almost triple the length of aging most pinot gris receives. The result is a lovely roundness of texture in the mouth, not so much a creaminess like one finds in chardonnay, but a fullness, as if the wine were exerting itself to be as lush as possible. This is the perfect wine for the Thanksgiving table, pairing well with turkey, cranberry sauce, and the inevitable (and delicious) Friday afternoon turkey sandwiches. Give it a slight chill, but avoid the ice bucket – this is a wine that shows best at just below room temperature. This rare vintage Champagne from 2007 is a spectacular example of how dramatic the wine can be as it ages. Ten years after harvest, the wine is now the color of golden wheat with notes of yellow apples, baked pear, and a rich, nutty essence. If the ballroom scene in Disney’s Beauty and the Beast had a flavor, it would taste like this. Though a white wine, this wine is made from two red grapes: pinot meunier and pinot noir in an 80/20 split, a winemaking style called blanc des noirs. The resulting wine is full bodied and rich, with surprising notes of chocolate-covered strawberry and pumpernickel toast. The flavors are dreamlike, the ghosts of raspberries and cherry dancing on your tongue. Lively and robust, this French pinot noir is full of complex notes of blackcurrent, blackberry, and licorice. Hints of Bing cherry and mocha on the finish allow this wine to pair perfectly with cheese and dishes such as roast duck, chicken, and heaty stews and soups. 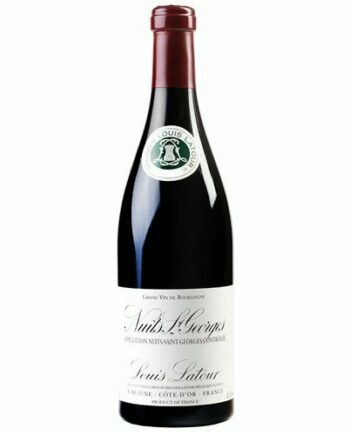 For those looking to understand what all the fuss is about when it comes to Burgundy, look no further than this bottle! This full-bodied red blend is cosy company in these cool temperatures. Made up of the grapes carignan, syrah, and grenache, this blend is big and robust, with tannins that are begging to be paired with food. It has a forward, fruity mouthfeel with plum and berry notes. Can Blau will make a lovely pair to hearty winter stews and roast meats. This pinot noir heavy Champagne is elegant and refined with delicate notes of strawberry, white plum, and raspberry. 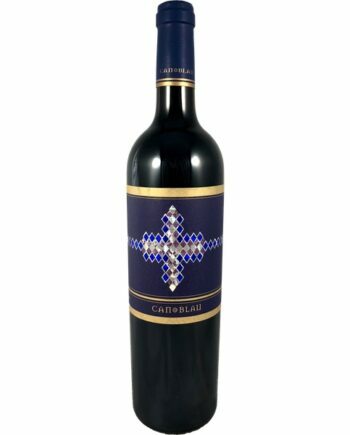 Full bodied and robust, this is a wine that would work well with many different kinds of cheeses or even heavier foods. J. Lassalle has been made by women for three (and going on four) generations, making it just another example of a women-lead winery that produces world-class wine. 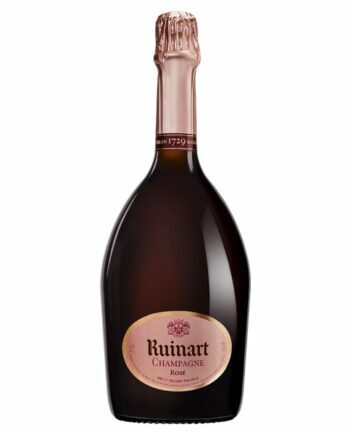 The city of Reims in Champagne is dotted by centuries-old chalk mines dug out by the Roman Empire, and the vestiges of these mines are home to Maison Ruinart. They were the first established Champagne house and have been making gorgeous wines for almost 250 years now. That unmatched expertise comes through in this delicately colored rosé. Aromas of wild strawberry, guava, and rose draw are followed by flavors of fresh red berries and grapefruit. If you’re anything like us, you probably find cooking at the holidays to one of the more stressful holiday traditions. And once you’ve finally gotten everything on the table, what are you supposed to drink? Well, that’s where we come it! We curated a few wines that pair best with the dishes we get asked most about at this time of year. 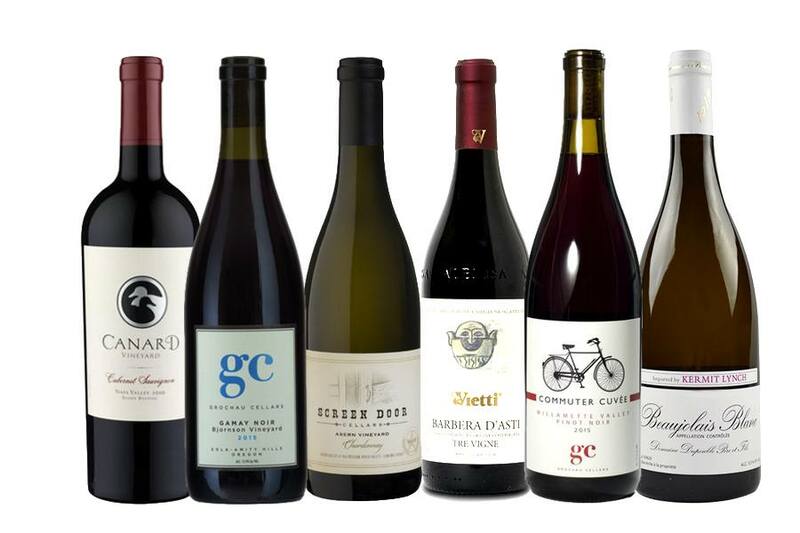 Most of these are wines that we’ve been enjoying for years, and we think it’s about time you enjoyed them too. 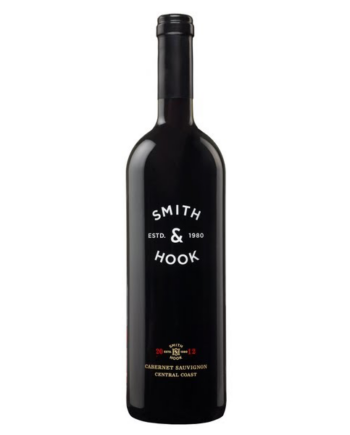 The merlot-based blend is full of ripe berry notes with a hint of leather and cedar wood on this finish. The perfect pairing with a traditional turkey! No matter what side of the “stuffing vs. dressing” debate you fall on, one thing is still the same: a rich and velvety pinot noir, especially one from France or Oregon is the perfect pairing. This Napa Valley white blend is the perfect match for a savory green bean casserole or a simple sauté with its notes of lemon zest, thyme, and pineapple. Marshmallows or no marshmallows, this fruit wine from northern Italy has notes of cherry and raspberry and high acidity that make it the perfect match for rich sweet potatoes. Let’s face it, we all have that one family member who can’t cook so they always show up to dinner with only a salad. Or maybe you are that family member? No worries! This French pinot gris is here to save the day! If your Thanksgiving is anything like ours, there’s more than just turkey on the table. This lush and full-bodied rosé has been aging for six years and is full of ripe berry flavors, perfect for pairing with pork! A Thanksgiving staple, nothing pairs better with buttery mashed potatoes than a well balanced, oaked chardonnay with notes of lemon, apple, butter, and vanilla. I know that everyone is going Beaujolais-crazy this time of year, but this Oregon wine made from the same grape has recently put me under its spell. 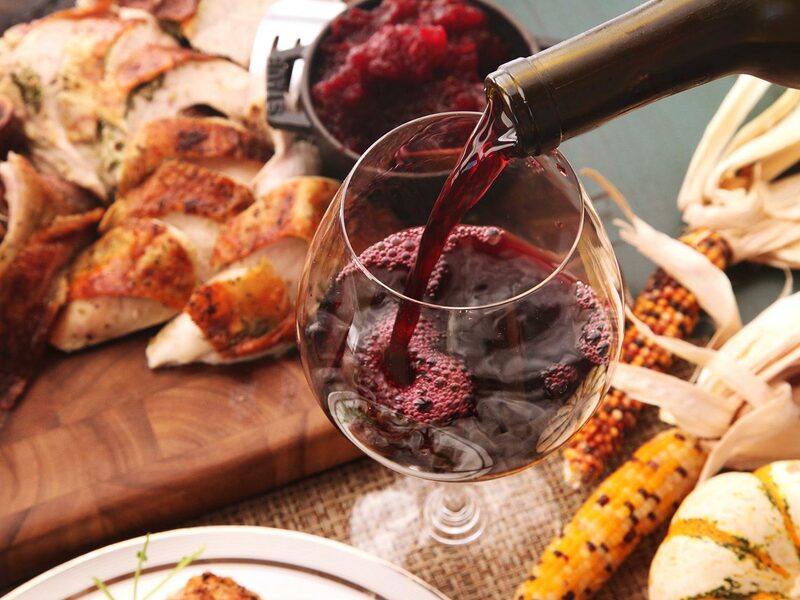 Bursting with red fruit aromas and flavors, it has a strong acidic backbone that makes it the perfect pairing for turkey and dressing (and stuffing too, if you’re into that). Also, if you’re looking for something organic, look here! We’ve been fans of Screen Door Cellars for a while now. They’re producing some of our favorite small-batch wines coming out of Sonoma. This chardonnay has quickly become a constant presence at our dinner table. A mature oak program lends notes of lemon pound cake and crème fraiche. On the palate, you’ll find yellow apples, pie crust, and vanilla mouse. Chardon-YAY! 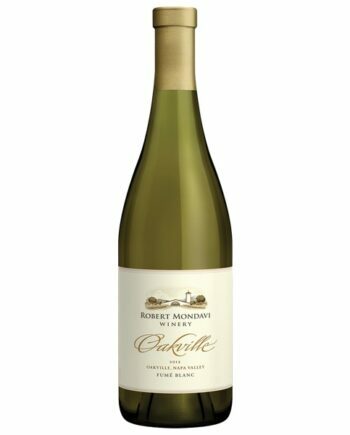 This is the perfect “weeknight wine.” This Chardonnay is completely unoaked, allowing for its naturally light flavors of lemon and green apple to shine. 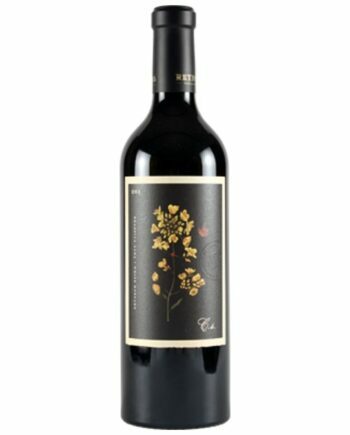 The grapes for this wine were hand harvest and were never sprayed with chemicals making this wine as organic as can be! Even better, this is exactly the kind of wine I like pairing with Thanksgiving foods! The barbera grape is quite interesting to me. To the eye, it’s quite dark and suggests a heavy tannic structure, but on the palette, a lighter wine shines through. It’s a juicy, herbaceous wine. Its got good acid and notes of cherry, anise, and perhaps a bit of smoke. It pairs well with root vegetables, just about any kind of greens, pasta dishes, and virtually all meats. It’s gonna be on my Thanksgiving table! Canard is one of northern Napa Valley’s little hidden gems. Made entirely from estate grown fruit (most of it grown just feet from the owners back porch), this wine is deep and intense with a gorgeous, almost black color. 2010 was a stellar vintage in Napa and this wine is ready to be drunk! Look for strong aromas of cassis and spice that are balanced by just a hint of cocoa powder. This wine is anything but pedestrian. Its relatively high acidity makes the wine bright and lively on the palate, with flavors of tart cherry balanced by earthier notes. Its forwardness is anchored by an unexpectedly full body and subtle tannins. This wine is food friendly and would be great with roast duck or grilled mushrooms. Great flavor, great price – this is hands down one of my favorite wines in the shop!